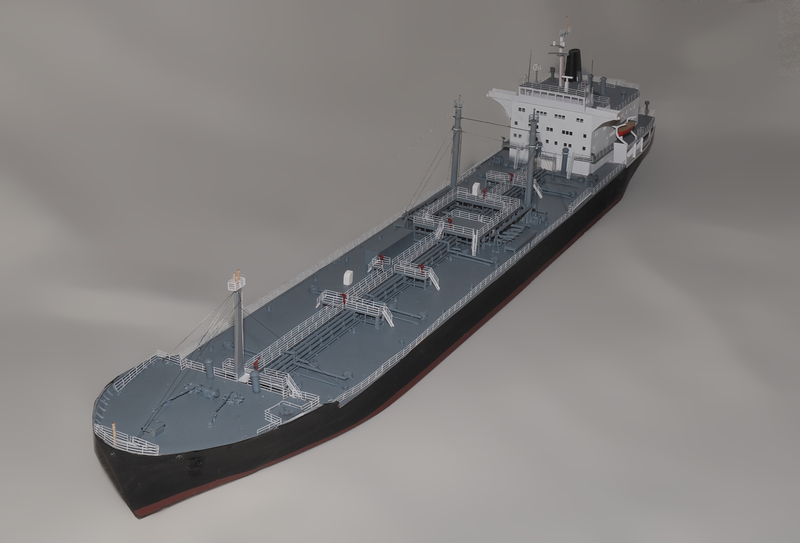 499′ Canadian Pacific MapleCove break bulk cargo ship available in both Z and N scale. Z scale version shown. Canadian Pacific Lines MapleCove from the port stern. 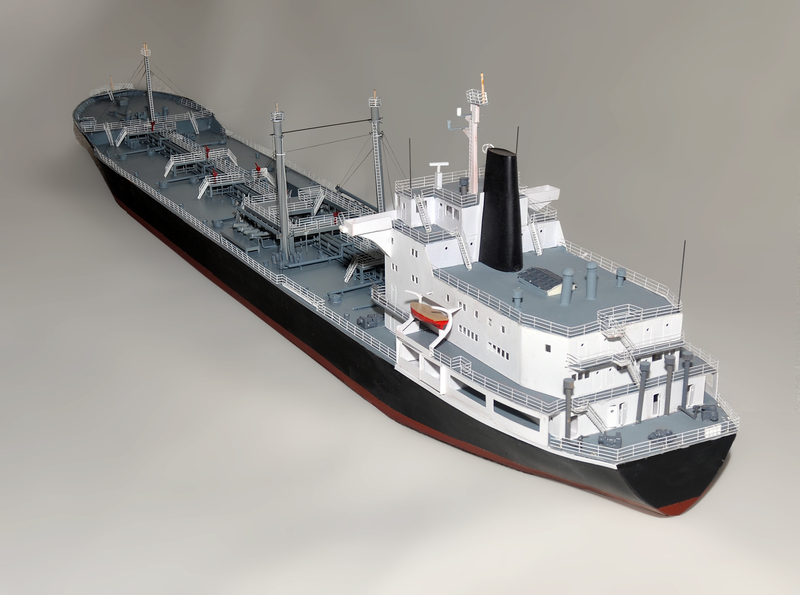 The sleek C3 freighter served from 1947—1991 with a top speed of about 20 knots. 20 First-Class passengers traveled in style, with a fabulous restaurant. Incan Superior from starboard bow. New in July 2018. The prototype of the Superior, Wisconsin loading bridge at stern. Port Stern View. The model is over 45″ long. 1247′ (380 M) Ti Oceania, with a beam of 68 M. The model is more than 8 feet long. Details from the stern. The model is matte white, so that 3D color and motion can be projected on it. Stern view of Algosteel, an N scale model spanning 55″. 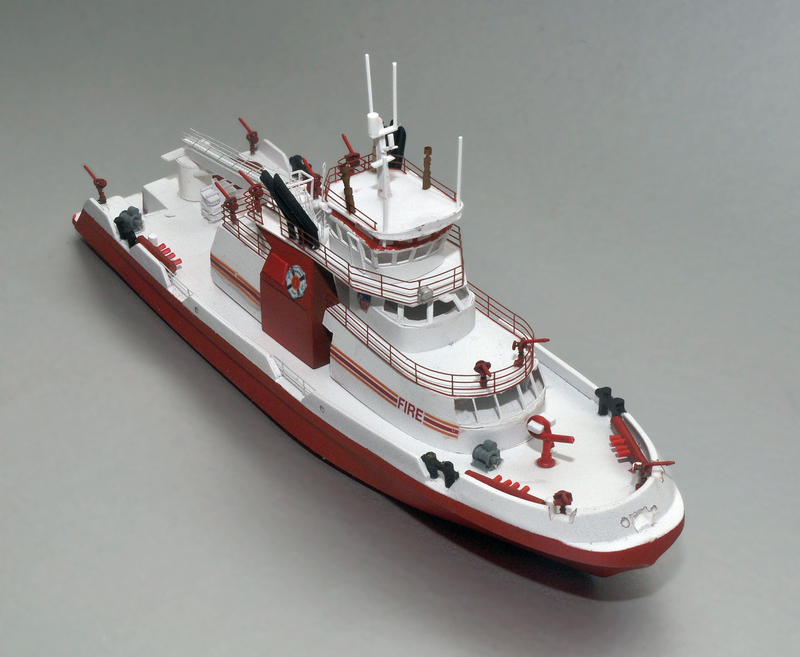 N Scale Ships provides accurate, detailed and well-executed ship models for model railroaders and marine enthusiasts. 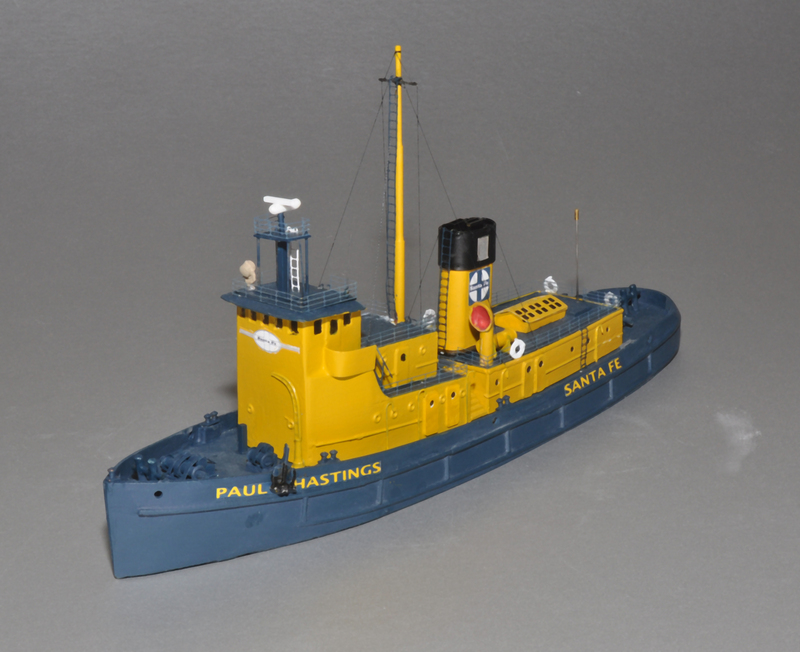 I specialize in ships in N and Z scale (1:160 and 1:220). Since every ship is modeled on a computer and cut with digital cutters, I can transform the drawings to any scale. 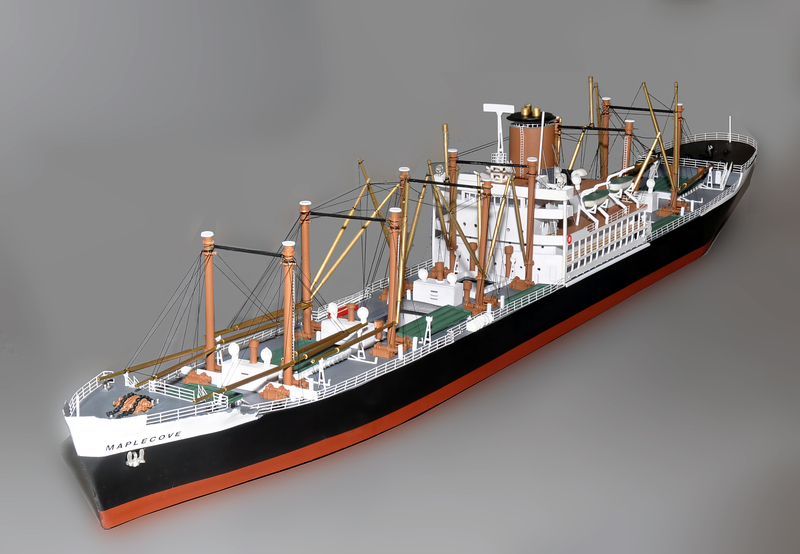 The smaller ships are low-volume productions, usually built eight ships at a time, and have cast resin hulls and the larger parts of the superstructure. 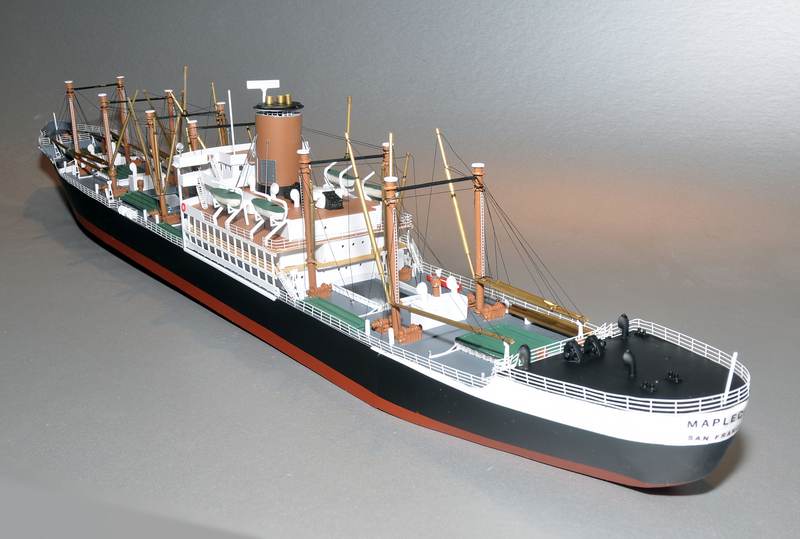 Larger ships may have cast resin bows and sterns, or may be built entirely from sheet styrene and brass. The larger ships are usually built upon order but, because they are computer-generated, usually ship within three weeks. 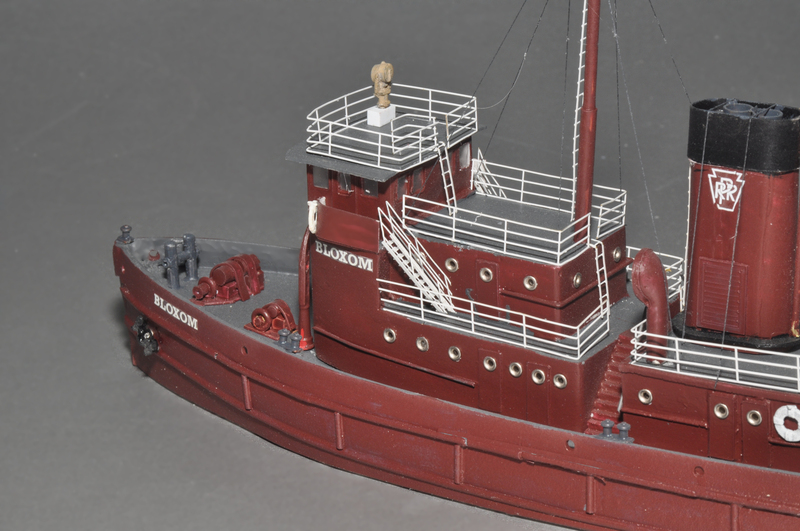 In addition to the production ships, I will custom build any ship in any scale. 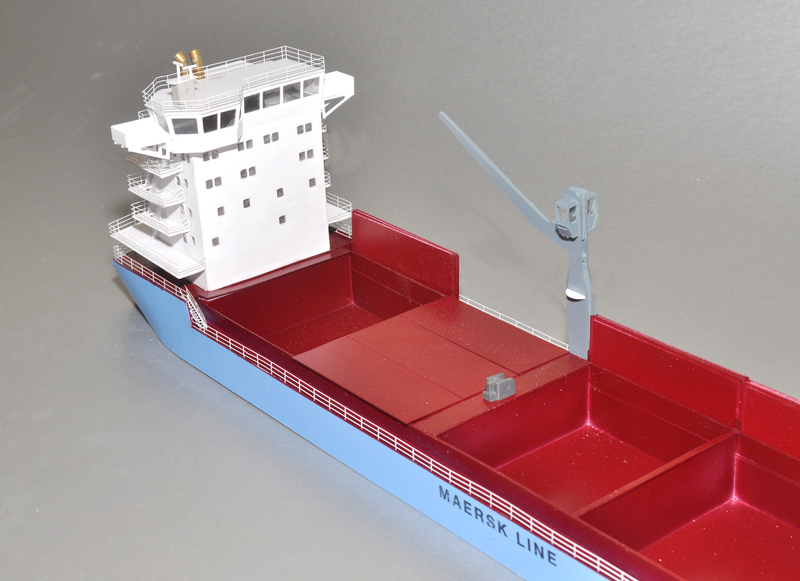 Often existing drawings can be quickly modified, so a custom ship may be more affordable than expected. My library of hulls contains most common merchant and war ships. I do not claim that these are museum-quality ships, which would cost between ten and thirty times more. I build them with museum-level details, usually scratchbuilt. With most ships, you get to choose the era, paint scheme and era-specific details. Many ships had a lifetime of 40 years or more, and underwent constant changes and improvements. Your ship will be constructed and detailed for the time frame that you choose. Please explore my site and enjoy! The site is under construction, so please pardon any inconsistencies. Don’t know the answer to that Hayden. Anyone else? Ever made a Pirate ship? I’d be interested in getting one. No. I think there are quite a few pirate ships out there already, many at very low cost. I have two from the Far East that cost about $10 each at souvenir shops a few years back. I may offer some of the smaller ships in HO in the future. 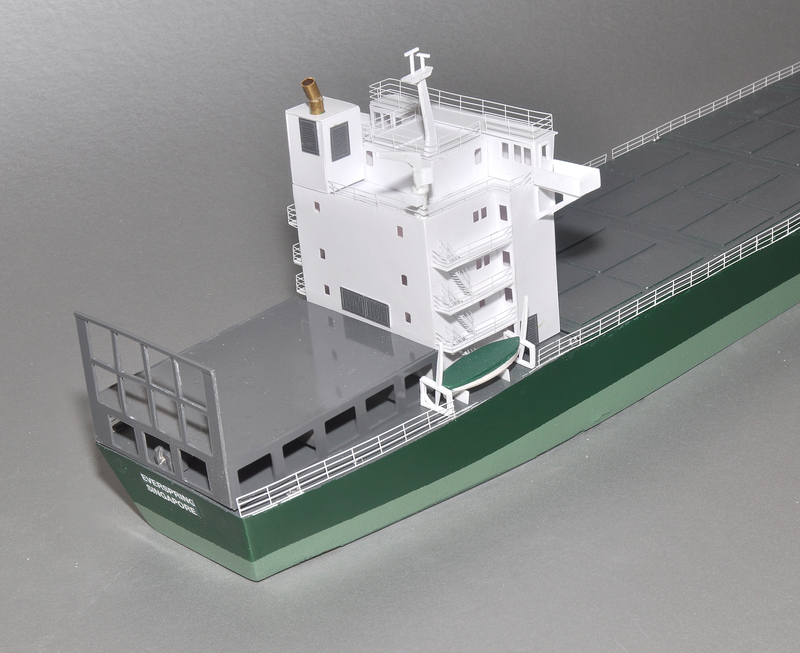 The larger ships would require different construction methods in HO. In effect, they would be entirely different models. 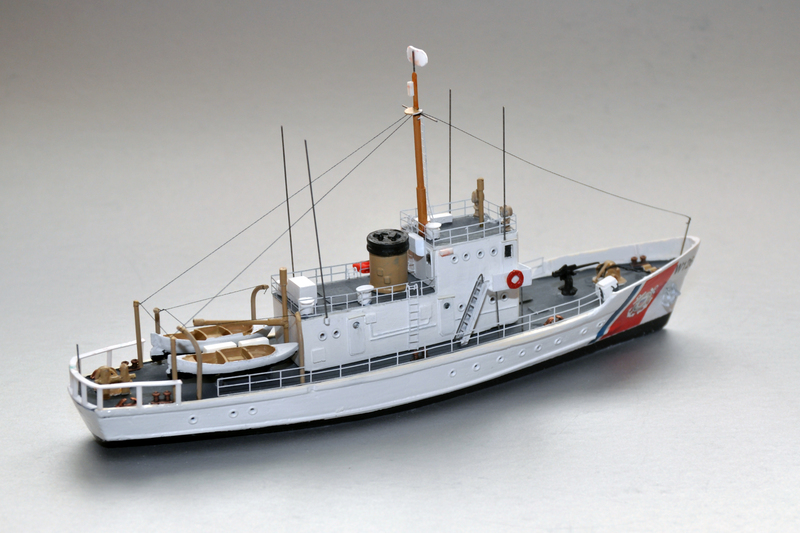 Once a hull gets to about six feet long and one foot wide, it is probably best built from wood, not styrene. Do you only build waterline models? 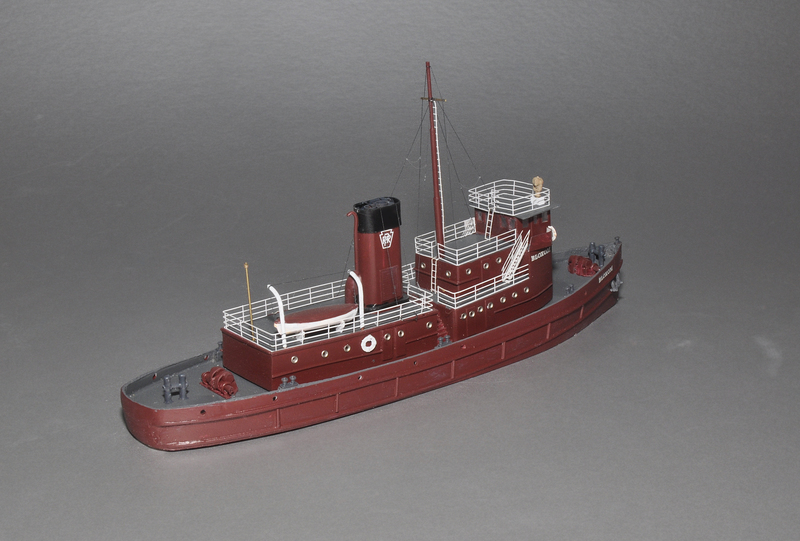 I am looking for a full model of the Titanic tender SS Nomadic in N scale. No, I can and do build full hull models. These require more accurate drawings to be fully correct, and involve more time and expense. Thanks, how much would a model like that cost, if I may ask? Hi. Could you send me your email. Thank you. Can you do a car/train ferry? Not sure what you mean. A passenger car ferry? Yes, I’ve done the Contra Costa in Z scale, which transported passenger trains. 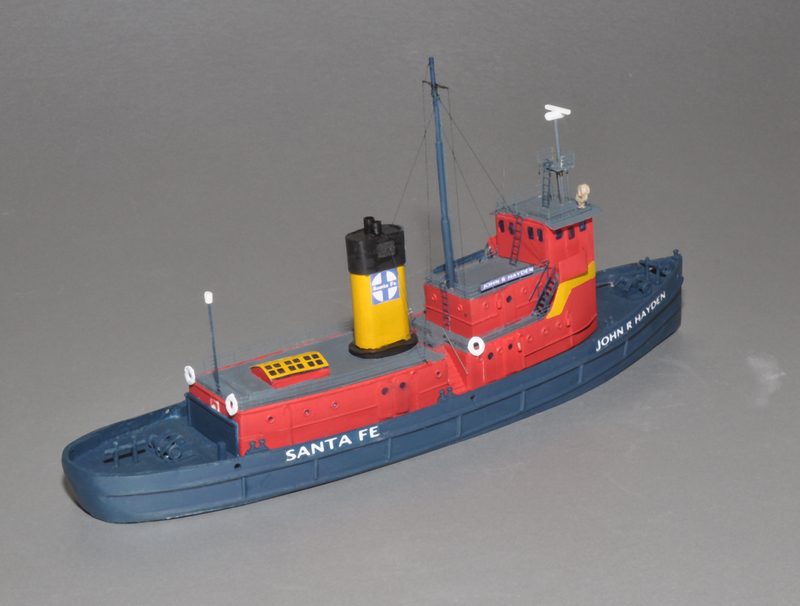 And I’ve done the ATSF ferries, which were primarily if not exclusively freight. And I’ve done a number of small automobile ferries. Is there a specific prototype you are thinking of? I see that the 90′ Ferry kit is available for sale at $40. Is Port Welcome also available for sale? If so, what is it’s length? What is your lead time for production of the kits? I won’t be ready to order anything for approximately 60 days, but I’m trying to plan everything for my N-scale model railroad layout now. 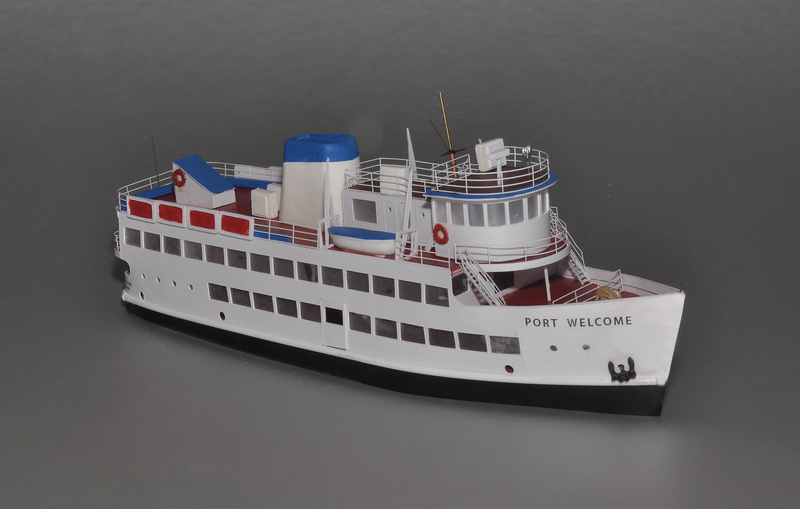 The 125′ Port Welcome is available for $135 plus shipping. It is a much larger and more complicated ship than the ferry. My production workshop is still down; when it is back up, the kits are usually shipped within three days.